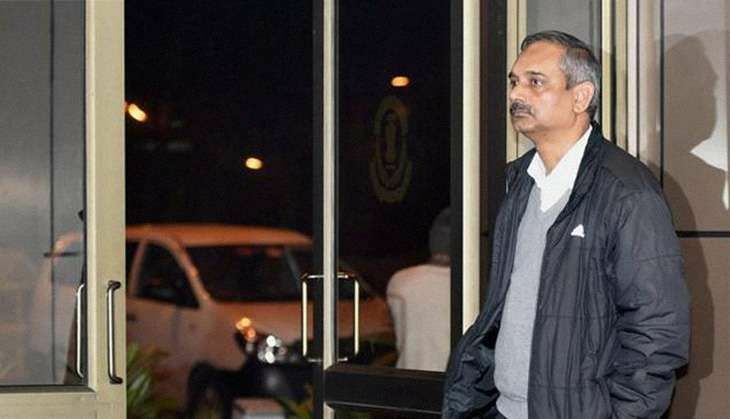 The Central Bureau of Investigation (CBI) arrested Delhi's Principal Secretary, Rajendra Kumar, on Monday, 4 July. The sum total of the CBI's charge against Kumar is that while being in charge of various departments in the Delhi government between 2007-12, he awarded hefty contracts without issuing tenders to benami companies he himself had helped set up. The agency had first raided Kumar's office in the Delhi secretariat last year in December, alleging he was involved in wrongdoings during Sheila Dikshit's tenure as Chief Minister. Delhi Chief Minister Arvind Kejriwal had at called Modi a 'psychopath' at the time. During the first raids, the CBI claimed that Kumar was behind a Rs 10 crore scam. On Monday, the agency claimed Kumar to be the kingpin of a scam worth Rs 50 crore. The arrest, seen in the context of the political battle between the Kejriwal-led Delhi government and the Narendra Modi-led Centre, is bound to further sour relations between the two governments. Manish Sisodia, the deputy Chief Minister of Delhi and a senior AAP leader, called the arrest of Kejriwal's key aide a 'war on Delhi'. Sisodia said the timing of the arrest raised doubts about the intentions of the Centre and the BJP. He claimed there were two reasons why the timing was suspect. One, that Kumar was arrested just when a lot of senior bureaucrats were being transferred out of the state by the Centre "in an attempt to create instability in the Delhi government". For instance, he said, one senior officer in charge of the "ambitious project of installation of CCTV cameras in all government schools" has been transferred to Andaman and Nicobar. The other reason Sisodia gave for Kumar's arrest was because of AAP's success in Goa, Punjab and Gujarat. "This is a clear attempt to paralyse the office of the Delhi Chief Minister... They know that Kejriwal is winning [upcoming Assembly elections] in Goa, Punjab and Gujarat. So far, CBI hasn't produced any evidence against Rajendra Kumar in court, so how come suddenly they found evidence and arrested him? The timing is obviously suspicious," Sisodia said in a press conference. "Let Modi arrest everyone in this government, we will run this government with peons," Sisodia added, claiming that the Central government had "stooped to an all-time low". Another reason why the Central government was "attacking" the Delhi government, Sisodia claimed, was to avenge the BJP's humiliating defeat in the 2015 Delhi polls. g, Sisodia held another press conference, saying: "There is an attempt to paralyse the government. This is unprecedented. This is the lowest level the Centre has stooped since 1991. The Anti-Corruption Bureau has been misused to implicate our officers. Why wasn't it summoned when the tanker scam had taken place (in 2012)?" He went on to add: "We are doing well in Goa, Punjab and Gujarat, and Modi feels threatened. This is the reason he is resorting to such tactics to impair our government. Eleven senior officers have been transferred out of Delhi on a single day, illegally, without a meeting of Joint Cadre Authority. Even an Assistant Secretary has been transferred to Andamans and all this has been done in one day." Reacting to the news of Kumar's arrest, senior party leader Ashish Khetan wrote on Twitter: "CBI, ACB, Punjab police-Modi ji has unleashed all the agencies in the country against one man-Arvind Kejriwal." The CBI picked up the case after Ashish Joshi, a former Member Secretary, Delhi Dialogue Commission (DDC), wrote to Delhi Anti-Corruption Branch (ACB) on 13 July last year, which in turn forwarded the complaint to the CBI. The agency had raided Kumar's office on 15 December, and had subsequently called him several times to their headquarters for questioning. It may have seemed like another round of routine questioning for Kumar, who along with a Deputy Secretary in Kejriwal's office, Tarun Sharma, and three other people were called to the headquarters on Monday morning. After questioning them for a while, the CBI decided to arrest Kumar, Sharma, and two other people. The agency has booked the four people under sections 120-B of IPC [criminal conspiracy], and under prevention of corruption act sections 13(2) [criminal misconduct], 13(1)(d) [government official abusing their power for monetary gains]. Sources say that CBI has focussed on at least five contracts allegedly awarded by Kumar between 2007 and 2015, to Endeavour Systems. These contracts caused a loss of Rs 12 crore to Delhi government, in which Kumar, along with the other accused, had taken Rs 3 crore as a cut, the agency claimed. The CBI seems to have agreed with most of the accusations levelled by Joshi against Kumar and the other accused. According to the complaint filed by Joshi, Kumar founded Endeavour Systems, and in 2007, when he became secretary (IT) in the Delhi government, he got this company empanelled in Intelligent Communication Systems India Limited (ICSIL). This made it easier for Kumar to award contracts to his own company, Joshi alleged. ICSIL is a PSU in which Kumar and the other accused are said to have influence. It is a joint venture of Telecommunications Consultants India Limited, a Government of India enterprise, and the Delhi State Industrial and Infrastructure Development Corporation, an undertaking of the Delhi government. Kumar is alleged to have awarded contracts to ICSIL for hardware and software upgrades, and ICSIL, in turn, handed over these contracts to Endeavour Systems. Then, as the chairman of Delhi Transco, Kumar awarded a contract worth Rs 40.16 lakh to Endeavour Systems for the development of a comprehensive information management system in 2009. One year later, Kumar, as a secretary in the health and family welfare department, awarded a Rs 2.43 crore manpower project in the health ministry to Endeavour Systems. Then, in 2012, as a commissioner in the trade and taxes department, Kumar awarded a Rs.3.66 crore project to Endeavour Systems for the development of software applications. In 2013, as a secretary in the IT department, he awarded a Rs 45.5 lakh contract to Endeavour Systems. In February 2014, the Delhi Jal Board awarded a Rs 2.4 crore contract to ICSIL, which in turn handed it over to Endeavour. Joshi had alleged that in some of the cases, tenders were floated, while in others, Kumar had ensured that the contracts were awarded to Endeavour Systems. Kumar's arrest may have come as a big shock to the Delhi government. Usually, the CBI or any probe agency resorts to arresting individuals only when they suspect that the accused could influence witnesses or tamper with the evidence. Because the agency has arrested the accused without charge-sheeting them, there is bound to be political uproar about the arrests. The CBI now has to produce the four before a court on Tuesday, 5 July. That's when more details about the sort of evidence that the agency has will become clearer. If the agency is found to be lacking in evidence, the biggest showdown yet between AAP and BJP is bound to begin.